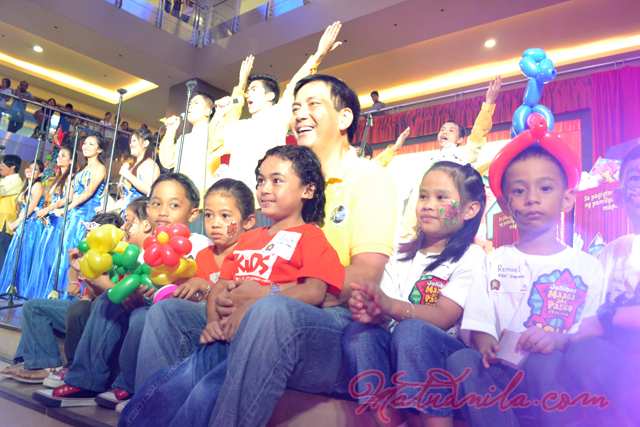 The earliest Christmas activity in Cebu that I have witnessed so far is the 17th Jollibee Maaga ang Pasko Launch at SM City Cebu which deepens their nationwide campaign of spreading cheer to less fortunate children with the help of the new batch of Jolly Toy Scouts partner schools and companies from Visayas, Jolly Toy Scout families as well as Jollibee executives led by Jollibee Operations Director for VisMin District 1 Grace S. Mercado. Recently they have been including the Filipino families who want to bond together while reaching out to those in need in this Christmas season. Several family-themed booths were set up in the Event Center of SM City Cebu to enable participants and mall goers to enjoy the time with their families while contributing to the campaign. They need to present old toys and books in exchange for tickets to join in the fun. To become Jolly Toy Scouts, Filipino families can simply set a day to gather their old toys and books in their homes and drop them off in the Maaga ang Pasko boxes in any of more than 730 Jollibee stores nationwide. 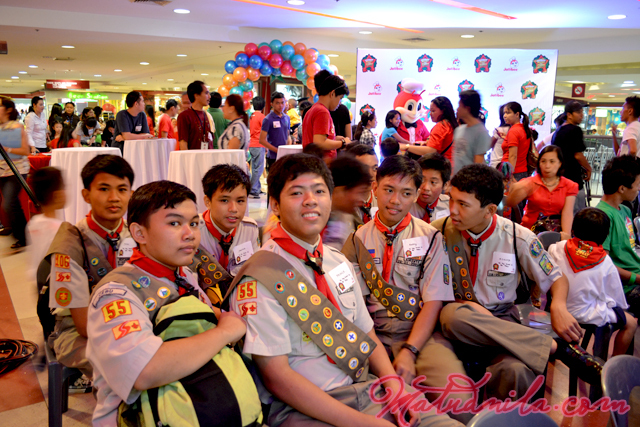 The Boy Scouts of the Philippines - Cebu is also there. The symbolic hanging of commitments in the Maaga ang Pasko Pledge tree by representative families including the Garcia Family of Cebu City, Suplido Family of Silay City, Negros Occidental, Jollibee Family Values Awards winner from Visayas and Cebu City Mayor Michael Rama. The presence of family pledges are meant to inspire other Filipino families to do something together for others through Maaga ang Pasko and experience a more meaningful Christmas. One of the event highlights were the induction of the 2011 batch of Jolly Toy Scouts in Cebu. The Maaga ang Pasko Pledge tree will be on display at SM City Cebu so other families can hang their pledges. These pledges can range from simple donations or gifts for their chosen orphanages or foundations, as well as outreach activities. Over the years, Jollibee Maaga ang Pasko has spread the holiday cheer to thousands of children through almost two million toys and books. Last year, students from 60 schools and employees from 33 companies worked together to gather 200,000 toys. The Jolly Toy Scouts, gave less fortunate children a more memorable Christmas celebration. “Maaga ang Pasko owes its success to the participation of our Jolly Toy Scouts. If we get to engage their whole families this year, it will help the campaign touch more hearts and lives, strengthen family ties and promote positive family values,” said Mercado. Oliver Alcid, Jollibee marketing services officer for the Visayas hopes for a another successful Maaga ang Pasko sa Jollibee with the involvement of the basic unit of the society - the Family. 0 comments: on "Jollibee sets new Pinoy Family Christmas Tradition"